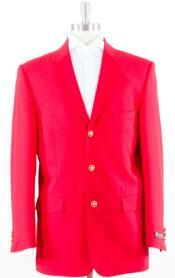 Add some color to your wardrobe with a red sport coat. 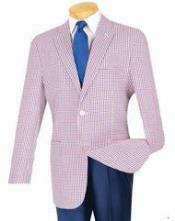 If your wardrobe consists of the traditional business colors in suits and sport jackets, try something different. 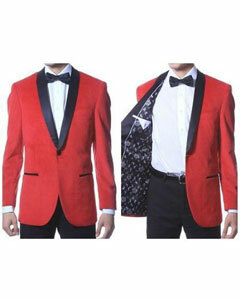 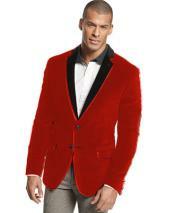 A red sport coat is a dynamic choice, if you want to add something new to your wardrobe. 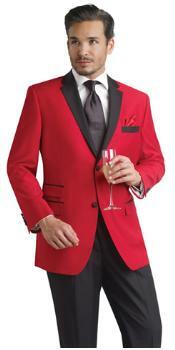 The bold color will help express your personality and get you noticed. 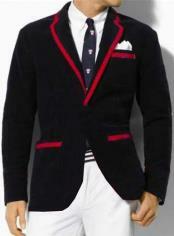 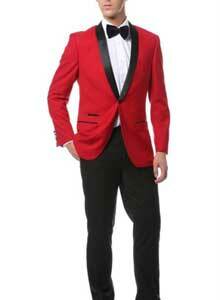 We offer a range of red sport coat styles. 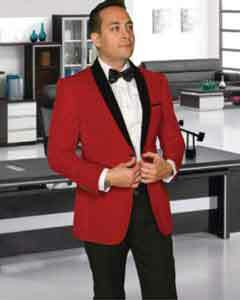 In our large inventory, you will find two button single breasted in sport jacket and dinner jacket styles. 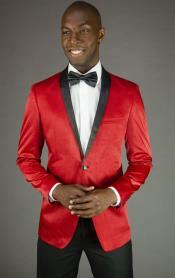 Browse our online catalog to find a red sport coat or suit to add to your wardrobe. 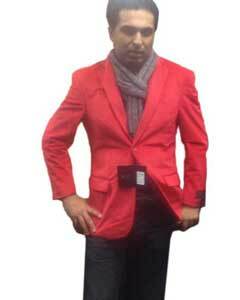 We have designed our website to be easy to navigate and offer a pleasant and convenient shopping experience. 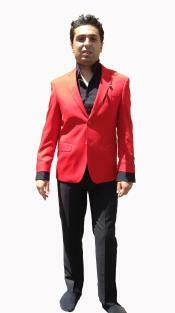 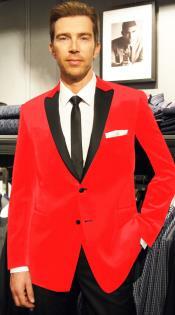 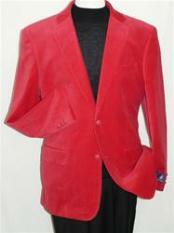 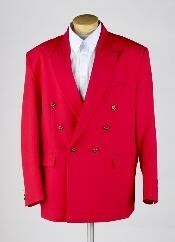 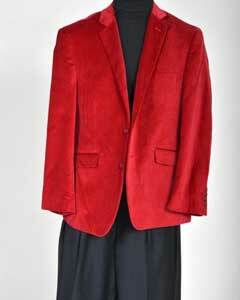 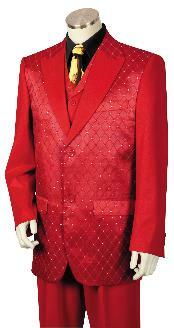 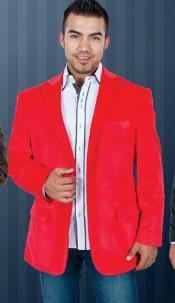 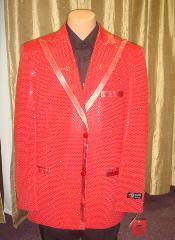 We offer a range of color options in red sport coat styles. 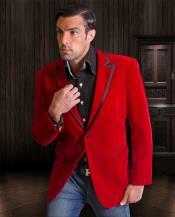 Choose from colors that range from bright reds to darker colors, such as burgundy. 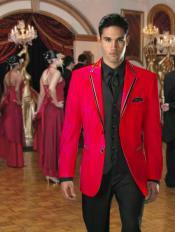 The occasion and your personality may factor into your color choice. 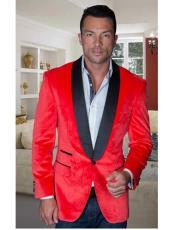 Darker colors are less dramatic and may be more suited to certain situations than bolder colors. 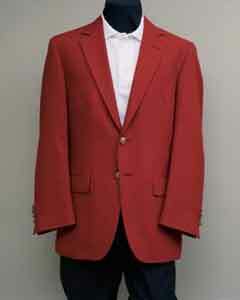 In addition, your own fashion sense will dictate the shade you want in your red sport coat. 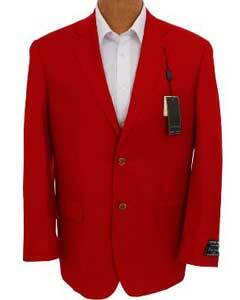 At Men's USA, we offer low prices on high quality red sport coats, suits and a large selection of other apparel. 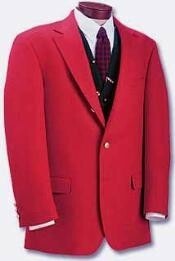 Our red sport coat styles are crafted with the same high quality fabrics, such as wool and wool blends as today's top designers, but without the expensive designer label. 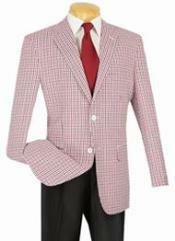 Many styles are designed for year round wear and are fully lined for warmth.